Acclaim | Jessica Rivera | Kirshbaum Associates Inc.
“There’s a challenge in trying to describe her voice. It’s the richness and the warmth and the depth just in the sound itself that’s so mesmerizing. But it’s not just the quality of the voice, it’s also her sensitivity and intention. It’s her use of text, the way she connects with language. And her very refined sophisticated understanding of how things are unfolding musically, so it’s this marvelous combination of heart, mind and vocal cords that’s just incomparable. There’s something special about what she does that only she can do." “Her soprano soared … A young singer who has worked closely with Upshaw, she now owns Górecki’s Third." "Rivera sailed a slow, high, sustained melody over the orchestra like a reassuring beam of light in an ominous sky." "The vocal highlights of the evening came from soloist Jessica Rivera, who brought Malinche to life. A radiant presence on stage, Rivera’s soprano projected effortlessly and with tonal variety–from a sensitively sung 'Song of Malinche' to a howl in the Rex Tremendae. Rivera’s committed and imaginative performance was a large part of the success of this new work." "Rivera's great asset is her combination of a plush, throaty timbre and the sort of laser-like technical precision that usually only comes with a thinner and more silvery sound ... Rivera's singing was crystalline and rounded throughout." 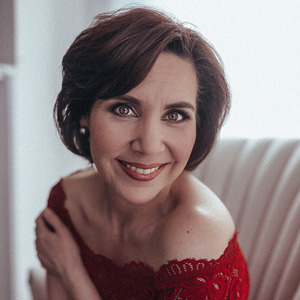 "Rivera, who has become Spano’s 'go to' soprano, is a joy to watch, her beatific gaze reinforcing the gentle, unforced sound that projects so wonderfully across the hall."